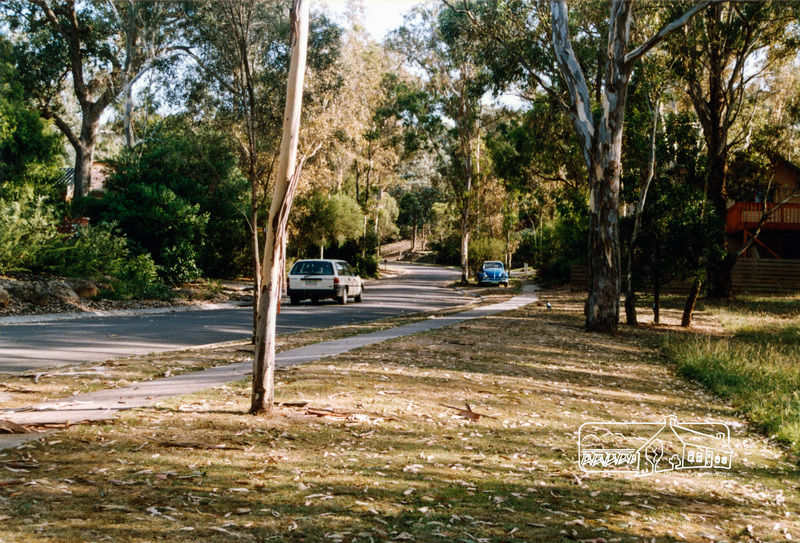 MysteryMonday: Dunstan Drive, Hurstbridge, c.1992 | Eltham District Historical Society Inc.
#MysteryMonday – Today’s images are again of a residential area, in the Eltham District, circa 1992. 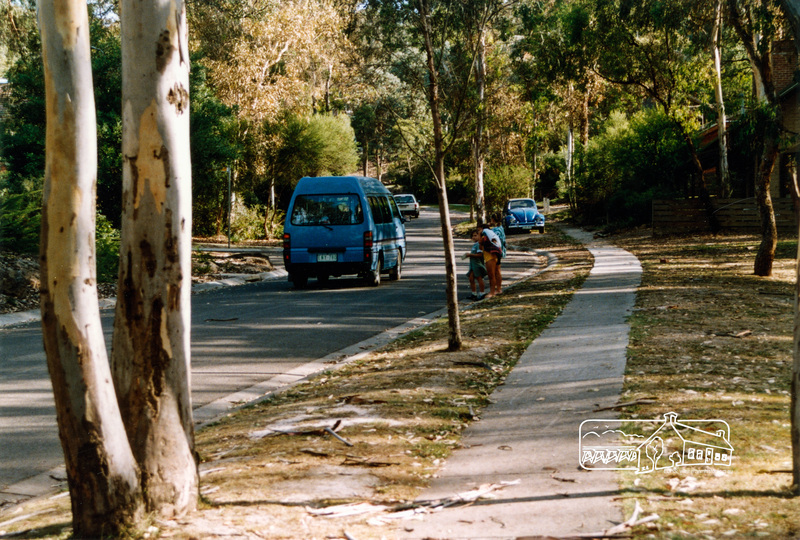 The street has a very similar feel to Valonia Drive, Eltham but it is not. The street appears to be running along a slight valley (like Valonia Drive). All the images are taken from the same vantage point. 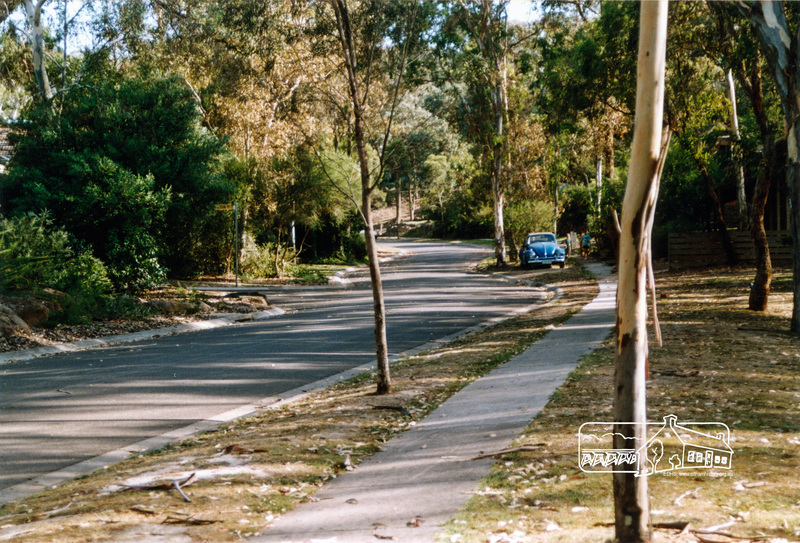 The street curves around to the left and there is a street running off to the left at the beginning of the curve and another to the right at the apex to the curve just past the chicane with the VW Beetle parked on it. Of course this could the entrance to the street from another one sweeping around from the right to the right. 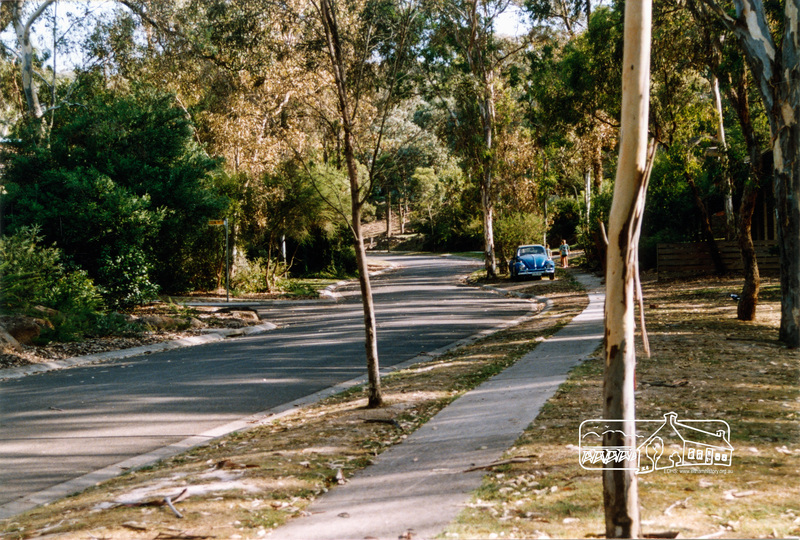 The first two almost identical images have been presented as they provide an overall view but also the street sign for the street on the left does provide a partial clue. In the first image it appears to be ending in “LTON” and could be Way or Mews or Ave. In the second image it could be “SLTON” or “SLION”. 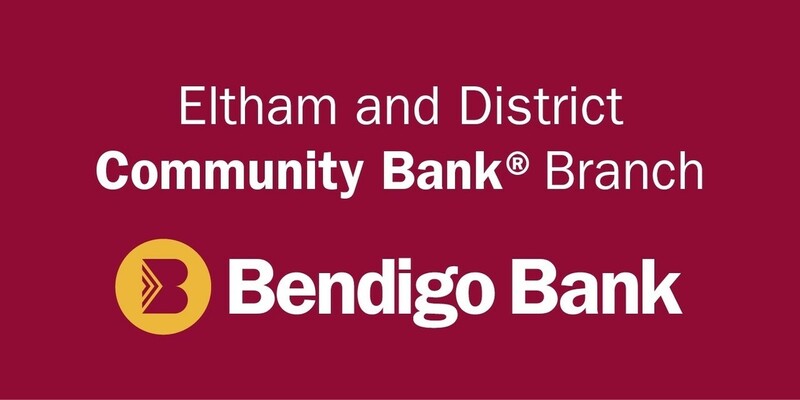 A search of street names for Eltham, Eltham North, Research, Montmorency, Lower Plenty and Briar Hill for a street ending in these combinations has left us stumped for the moment. Perhaps in the past 25 years there has been a name change. This image has been provided as someone may recognise the little girl’s school uniform, which may help identify the locality. It looks similar to that of Eltham College; essentially a Eucalyptus green with white collar and sleeve ends. And this image has been provided as it gives a bit more perspective of the possible reserve to the photographer’s right and shows the house on the immediate front right slightly more. Do these street views strike a chord with you, perhaps you even know someone who may live there. Perhaps the house is yours. Can you identify it? We’d love to hear from you; your thoughts and suggestions as to where it is.